Enhancing the elegance of the living room is one of the most important factors in improving the interior of a home. The most important factor in choosing a cushion is the type of the furniture that you have in your living room. The material with which the furniture is made and the color of the furniture is a major determinant in selecting the right cushions. Cushions provide extra padding or support on a sofa,Cushions refer to the slips that are used as a protective and decorative coverings. Cushion covers are mainly made of silk, velvet, cotton and jute. 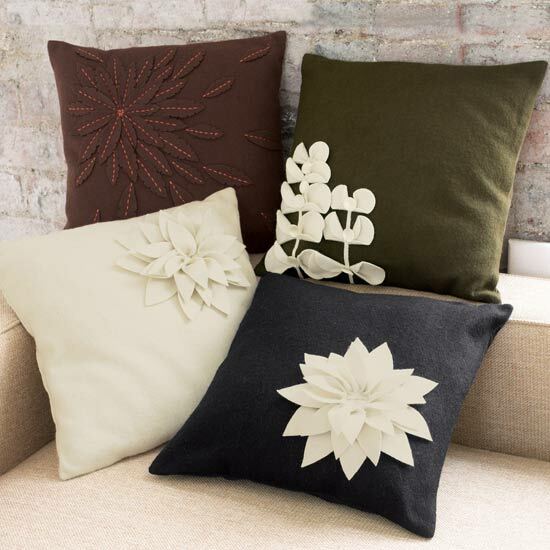 They normally have embroidery works or prints on it that enhance the grace of the cushions.When buying cushion covers three things to be considered are purpose, aesthetics & maintenance. Cushion covers are made usually with exquisite embroidery that draws inspiration from nature, religious symbols or various floral and geometric patterns giving a rich color spectrum and exquisite workmanship. The cushions used in the living room reflect your personality. Hence it is highly imperative that you keep up to the changing trends in the designs. Cushion covers are now considered as one of the most important element when it it comes to home decor, these covers can dazzle the room and give the necessary spark that is needed.